How To Send Bulk Emails Effectively? Home > Blog > Blog > How To Send Bulk Emails Effectively? Sending mails is one of most important techniques in online marketing but when there is a big list you need to send mails to, the task becomes quite tough. 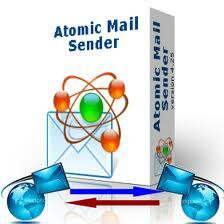 However with the availability of many softwares in the market, you can send bulk emails easily. Besides, these softwares let you send the emails the way you want to do that as they bestow you with various features making it more users friendly. You can personalize your emails for each recipient. When it comes to email marketing applications it is comprised of two things, which are the database and the interface. The database contains everything starting from the entire contact information to statistics on the performance of campaign and archives all the messages. Whereas the interface endow you with all the tools required to run the campaign such as entering contacts, designing your mails and sending messages. Let me walk you through the five softwares that help you send bulk emails easily. 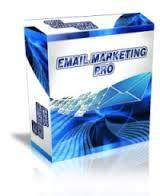 When it comes to the email marketing softwares, Email Marketing Pro is counted among the market leaders. It helps you authenticate your own SMTP server for free email marketing, generate bulk email and send personalized emails in seconds. The software itself handles the bounce back mails, automatically unsubscribes them and imports the current customer list for you. The software has the ability to tailor built-in database of unlimited groups of people, sending email at the correct time intervals to avoid server congestion or ISP limit. It can reuse any bulk email campaign. It helps you personalize your emails by first and last name addressing. The software allows you to maximize your email deliver-ability and prevents email service provider to blacklist you. 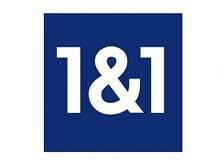 1And1 mail lets you send bulk mails to your clients accurately and harmlessly. The best thing about this software is that it comes with an email template downloader letting you impress your customer with a nice and professional email template. Besides, you can download any web page and convert it into an email template. With its multi account managing feature it reduces the risk of spamming and helps you to manage multiple accounts from AOL Mail, Gmail, Yahoo! Mail, hotmail and so on. 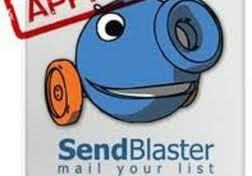 Send Blaster 2 is free email marketing software that gives you a chance to take on your giant rivals. Free template comes with the package that lets you create an impactful email. The embedded editor that it has helps you to use an external HTML editor. The software comes with a useful analyzer that you can integrate with Google Analytics. The integration gives you a data on the number of emails read, subscription to your website and product purchase that helps you finalize goals set by you in Google Analytics. The software caters to all your professional email marketing campaign needs. It helps you import previously created HTML and start your campaign immediately. The important features that this software includes are ability to add anchors, hyperlinks, post, images and subscripts together with other formatting options. You get all actionable statistics that you need to carry on a successful marketing campaign. It lets you import mailing list very easily and gives you three preview modes, which are overall preview, HTML source and plain text. The software offers and easy to use interface that requires no training. Your staffs need not a training to initiate an email campaign with this software. The important features of this software are built-in SMTP server, multiple email formats and authentication support. It is highly flexible and supports CSV files, DBF databases, Microsoft Word, Microsoft Excel, Microsoft Access and other file formats. You can send newsletters to unlimited recipients. 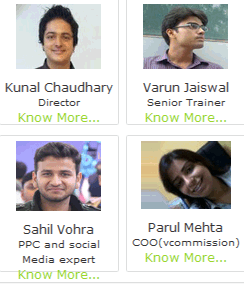 With it you can manage unlimited number of fields for personalization. Besides, while sending bulk emails make sure you are abiding by the Acceptable Use Policy (AUP) of email or internet service provider. 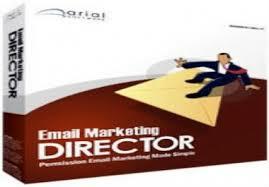 The email marketing softwares helps you easily abide by it while sending mails. Moreover, while creating your emails you must keep in mind that your emails are attractive and informative to have a good impact on the customers. With email marketing softwares you can run an effective email marketing campaign for your business however you need to choose one according to your needs..